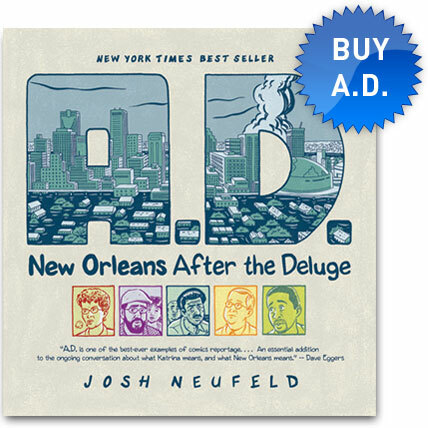 WEBCOMIC: Read the original version of A.D.
"One of the best-ever examples of comics reportage, and one of the clearest portraits of post-Katrina New Orleans yet published. An essential addition to the ongoing conversation about what Katrina means, and what New Orleans means." – Dave Eggers, author of Zeitoun and What Is the What. Wired.com: "A sterling example of comics with a social conscience." 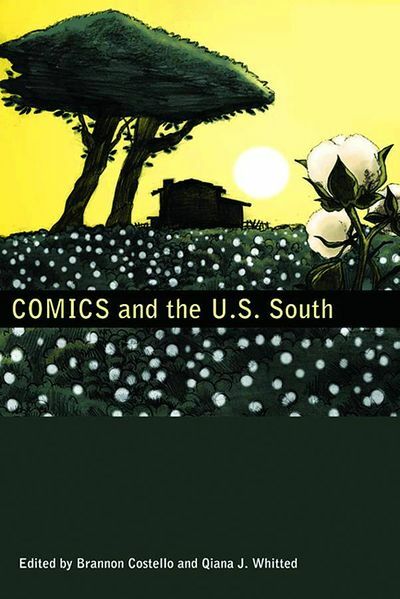 USA Today's PopCandy: "Accessible, informative and beautifully drawn." Boing Boing: "An excellent way to present the stories of people affected by the natural disaster." Heeb Magazine: "Sets the bar high for the genre of Katrina writings." Watch PulpSecret's cool video about the making of A.D.
I’m often asked by A.D. readers about the story’s real-life subjects: Denise, Leo & Michelle, Hamid & Mansell, Kwame/Kevin, and The Doctor . The answer is I’ve been in touch with all of them, to varying degrees, over the years, and for the most part they’re doing well. So, with Hurricane Katrina’s tenth anniversary coming up (officially tomorrow), I thought folks might be interested in a little update. Over the last month I’ve reconnected with Leo, Hamid, Kwame/Kevin, and Dr. Lutz, asking them about how they’re doing, the state of New Orleans, Katrina’s legacy, and their feelings about the 10th anniversary. (Denise, sadly, chose not to be interviewed for this update.) I’ve structured the piece as a sort of conversation among the characters. As you might expect, A.D.’s characters harbor a multitude of feelings around these issues, some in alignment and some in conflict. I wouldn’t have it any other way! P.S. I also want to thank the Economic Hardship Reporting Project for their assistance on this piece.